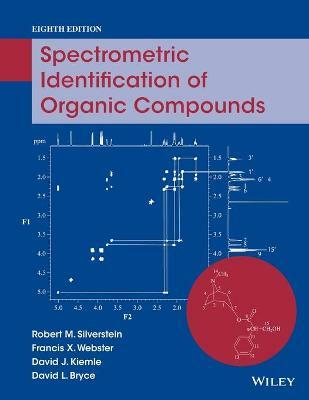 First published over 40 years ago, this was the first text on the identification of organic compounds using spectroscopy. This text is now considered to be a classic. This text presents a unified approach to the structure determination of organic compounds based largely on mass spectrometry, infrared (IR) spectroscopy, and multinuclear and multidimensional nuclear magnetic resonance (NMR) spectroscopy. The key strength of this text is the extensive set of practice and real-data problems (in Chapters 7 and 8). Even professional chemists use these spectra as reference data. Spectrometric Identification of Organic Compounds is written by and for organic chemists, and emphasizes the synergistic effect resulting from the interplay of the spectra. This book is characterized by its problem-solving approach with extensive reference charts and tables. The 8th edition of this text maintains its student-friendly writing style - wording throughout has been updated for consistency and to be more reflective of modern usage and methods. Chapter 3 on proton NMR spectroscopy has been overhauled and updated. Also, new information on polymers and phosphorus functional groups has been added to Chapter 2 on IR spectroscopy.